The Battle of Britain is coming to St. Andrew's so make sure you don't miss out on the action! Blues Ladies face Arsenal Ladies in the UEFA Women’s Champions League quarter-final first-leg in what will be the biggest club game in English women’s football. The mouth-watering clash is at St. Andrew’s on Monday 24 March (7pm kick-off) and ticket prices can now be confirmed. This will be a battle of old foes as Blues will be out for revenge having lost out on FA Women’s Super League and Continental Cup silverware to the Gunners in recent years. This is already the furthest Blues have progressed in Europe’s elite competition after a 7-2 aggregate victory over Russians FK Zorkiy Krasnogorsk had followed a 4-0, two-legged success against PK-35 Vantaa of Finland. 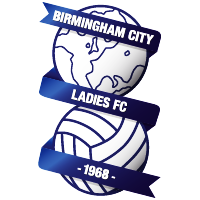 Single match tickets for the game are available at just £6 for adults and £3 for concessions, with a special-rate ticket available for Birmingham City Football Club’s 13/14 season ticket holders at just £5 for adults and £2 for concessions – a fantastic price to see European football. Special group tickets, costing just £20 for five adult tickets and £10 for five concession tickets are also available.